To improve the energy efﬁciency of existing data centers, as well as making decisions on new data center there are some metrics being used: Power Usage Effectiveness (PUE), Data Center Infrastructure Efficiency (DCIE) and Data Center Productivity (DCP). Ideally, these metrics and processes will help determine if the existing data center can be optimized before a new data center is needed. 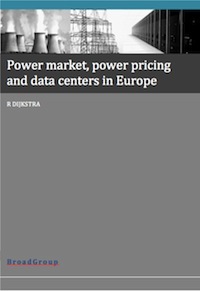 Data center productivity is much more difﬁcult to determine than PUE or DCiE. That is because of the issue how to define ‘useful work’. 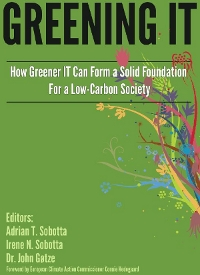 The Green Grid organization feels that DCP is a key strategic focus for the industry. 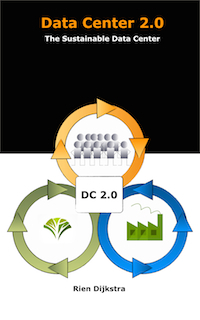 DCP deﬁnes the datacenter as a black box – power goes into the box, heat comes out, data goes into and out of the black box, and a net amount of useful work is done by the black box. • 1.0 represents the normalized IT Load. Effectively this is the IT Load Factor (ILF) but is always 1.0. • Cooling Load Factor (CLF) = total power consumed by chillers, cooling towers, computer room air conditioners (CRACs), pumps, etc. divided by the IT Load. On the Web there are several calculators available to do some about the data center energy usage. Simple PUE / DCiE calculators such as offered by 42U but also more advanced calculators such as APC Data Center Efficiency Calculator. With the APC calculator you can also do some interesting What If / Trade Off analysis on different Data Center configurations. APC offers also other Carbon footprint and Energy Usage calculators. Another type of calculator that can be found is an efficiency savings calculator. Examples are 42U’s energy efficiency calculator and the European Free Cooling Tool an online tool has been developed to help data center and facilities managers easily determine how much free cooling and free evaporative cooling is available for individual data centers. An often forgotten thing about PUE and DCiE is that these figures are NOT static, they are dynamic. Workload but also the environment (outdoor) change on a daily base. A fine example of these dynamics can be find at Google Data Center Efficiency Measurements. Although these calculators can wetting your appetite in reducing energy usage and the carbon footprint and/or saving money real results can only be made when a proper energy monitoring system is in place Usage of an architectural framework is a must to get an energy monitoring environment working.